Find the five characters and then hide them again in a different place in the book. This board book features the Treasurebobs, who are friends that love playing hide and seek. The friends are at a party and your job is to find out which object they are hidden behind – who is hidden behind the cake, balloons, jelly, bunting and present? But here is the great bit – you can change the hiding place of the Treasurebobs and it becomes a whole different story! With 120 different combinations, the fun never ends! 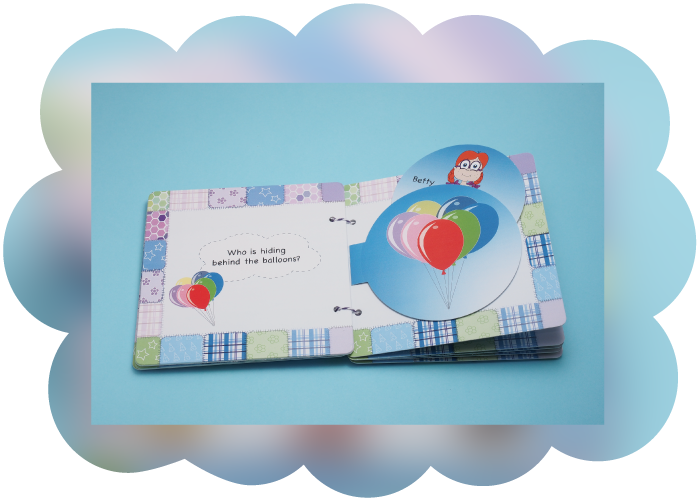 This hand bound, colourful and engaging ‘lift the flap’ board book will keep you and your little ones entertained for ages!